We deliver comprehensive roofing and waterproofing services with additional eco-sensitive procedures available. 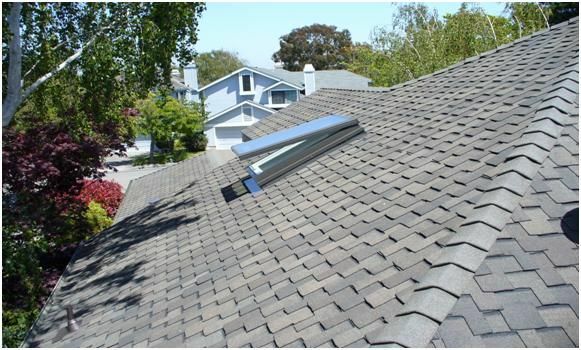 Established in 2004, Sustainable Roofing Solutions is fast becoming a unique and complete service provider offering clients options that are relevant to today's environmental and economic realities. As a Certified Green Building Professional and design/build general contractor, we are a 'one-stop-shop' ready to bring you a unique and fulfilling experience. Full Service Roofing specializing in restoration options. Design-Build General Contractor providing comprehensive construction services. Cedar Shakes and Shingles from different mills including Certi-label certified. Certainteed, GAF, Owens Corning, James Hardie, Pabco shingles and products. Velux and other skylight brands. For general construction, too many good products to list. Associate with the American Institute of Architects. There is so much information about buildings; an educated customer is the best type of customer to deal with for a transparent company. How many projects do you average in a year? 10-50, depending on size of projects. Understand what you are buying and spend your money with an entity that offers education along with their services. Throughout the process of contracted assignment, the building owner is updated with additional useful information that can serve in making future decisions. This information may result in hiring our company again if the first service was met with fulfillment or possibly helping in receiving referrals and shopping with other service providers. If there are no apparent or pressing needs, the building owner is notified and, in any case, is made aware of the condition of their investment. Unfortunately, sometimes the not-so-green jobs are popular, but that has to do with both economic realities and a plain old misunderstanding of facts related to the total health of an entity. In the case of the not-so-green jobs, our answer is to execute them in a quality manner which ultimately makes them greener. What kind of questions do customers ask you? There are many technical questions, of course, for people who want and enjoy learning about what they own and is an extension of themselves. Many of those answers are provided on the Web site, which is updated with a reasonable amount of frequency. Of course, we are usually here to answer some basic questions by telephone, and the more involved questions are addressed at times during the production of the project at hand. What are the qualifications of the company or individual responsible for the work? What level of professionalism is conveyed in the company's portfolio of work? What is their performance track record and safety record? With a family history of involvement in the production and maintenance of quality structures, Sustainable Roofing Solutions was born out of a need for a company like ours. What is important to know about your profession? The importance of the health of buildings to owners and society at large. 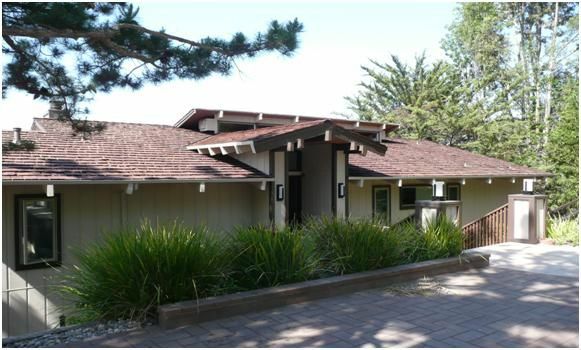 Full rebuilding and restoration of 1920 Berkeley Bungalow to be Green Point Rated. The project is currently moving into the finish stage and photo documentation will be available on our Web site in the coming months. What we may not know about you? We enjoy involvement with the arts. Sustainable Roofing Solutions has been rated with 5 out of 5 stars based on 7 customer reviews. Fixr has reviewed the content provided by Sustainable Roofing Solutions to match our community guidelines. Sustainable Roofing Solutions has been rated with 149 experience points based on Fixr's rating system. 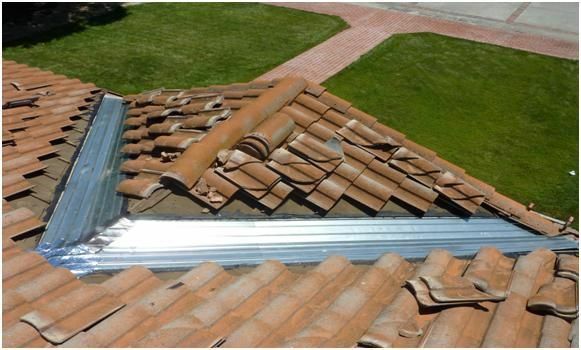 Fixr has validated the email provided by Sustainable Roofing Solutions. My father was a General Contractor and I am quite familiar with the challenges professional builders face. I myself was a real estate agent for about a decade and I have been exposed to the difficulties and high costs pertaining to buildings and the improvement/maintenance efforts always needed. Building contractors are in an overly challenging field, providing essential services to the public and often times they are underappreciated. This makes a good deal of them use coping mechanisms that are not in full integrity. I dealt with SRS for many years as they provided service for my clients. Every experience with this company included integrity, fairness and fantastic results. Whether replacing the entire roofing system or repair and restoration work they are proficient with, this contractor was a stand out! I think their extremely high standard of care due to the owner's hands on involvement, always made the difference. If you are looking for quality, honest, value driven work, Sustainable Roofing Solutions is the contractor for you. Good luck with your project, but you won't need luck if SRS is your contractor. SRS is an experienced and seasoned contractor and authentic green builder. They solved the low slope roofing leak at our residence a few years ago after two other contractors failed. They have a one-stop shop, comprehensive and valuable in their approach and it is apparent from all the favorable customer reviews they have received over the years, including this one. Get ready to solve the problems of your building, reasonably and efficiently. SRS is a smaller size company bringing the big size personal attention every discerning customer wants. 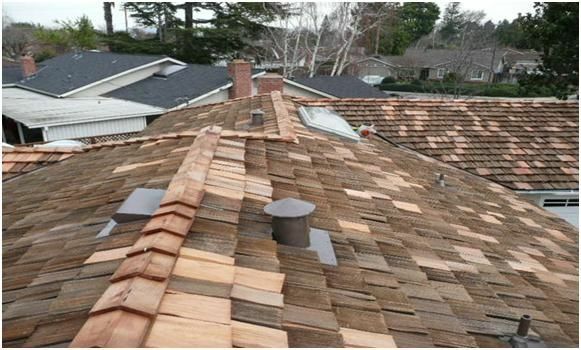 We had Sustainable Roofing inspect our asphalt shingle roof after last season's rains when a leak developed. Kasra, the owner of the company, charged a reasonable fee and did a thorough inspection of the roof and even the siding and rest of our exterior. He gave us an informative verbal report on a good deal of what was going on with the exterior with special focus on the leak issue. He also showed us digital photographs to support the education and ensuing consultation with his recommendations. He also gave us a written estimate sheet. He put no pressure on us and left with a smile. We already had another estimate but it was an easy choice to make because everything he presented and explained for us seemed 100% scientific and very upfront. At the same time, it all came at a reasonable price that did not seem misleading whatsoever. The price was higher than our first estimate but it was obvious it was a much more thorough service; taking care of the immediate leak as well as doing most of the pending maintenance needed that we had neglected for so long. About two weeks later, Kasra came out himself with an assistant came for the first day and got the work started and set up for the finish a couple of days later. It really felt like we got more than what we paid for because they did all of the right procedures, stopped the leak and gave us peace of mind for the years ahead. At my request, I even received a follow up email with photos of the work done and that really nailed it there because my feelings about the great service we had received, just felt totally confirmed. Thank you SRS! August 25, 2016 by Helen W.
I am very satisfied with the work SRS did for me. I lived in another house for 30 years, I had two roofs installed and they lasted approximately 15 years each. This is the first time I used SRS at my current residence and I have a feeling this roof may last twice as long as the last ones. The previous roofers were in and out in about a couple of weeks more or less. I really didn’t know what was going on then except that the new roof looked good. I paid for a new roof and that is what I got. The SRS job took longer to finish, but it seems I got more value for what I spent with their detailing. They did extra work tearing off additional layers of roofing, they completed extensive dry rot and carpentry work at the roof perimeter that was needed and installed extra flashings to prolong the life of some adjacent beams. The thing that separates SRS from the previous roofers is that Kasra, the owner of SRS, would explain everything to me daily on his job. He worked side by side with the roofers to insure everything was done correctly. He would regularly point out areas of concern on my roof. I could take care of it now, do it myself, hire them to do it or just catch it later. He also stated the pros and cons of delaying the work. My feeling is this is my house and I want to know how and when to take care of it. The best suggestion he made was to install a skylight in the garage and a sun tunnel in the darkest area of the house. In hindsight, I should have gotten these two items done years ago and now I cannot live without having free solar lighting. 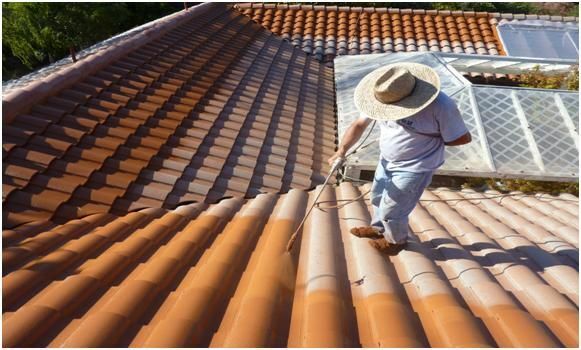 If you want a roofer who can explain everything to you when necessary then Sustainable Roofing Solutions is who you want for your next roofing job. I wanted to say thank you for a job well done. The roof looks great and appears to be done with superior craftsmanship. Your team was easy to work with and were able to communicate what was happening well. Having never put a new roof on a building before your suggestions were very helpful. Sustainable Roofing Solutions was very accommodating to the schedule and activities of our church. Even with a weather delay, their men worked overtime to ensure that the project would be completed on time. That is the kind of professionalism that is needed today in business. A number of neighbors have contacted us to thank us for updating the roof. 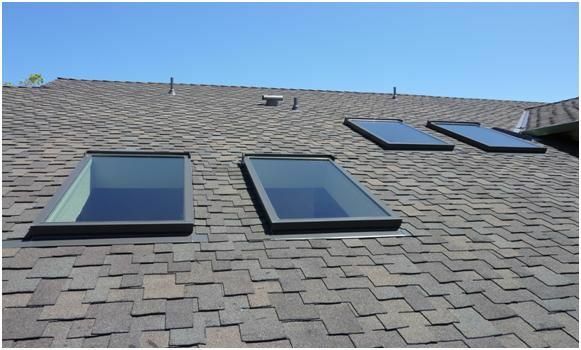 I would highly recommend Sustainable Roofing Solutions for your next project. It has been great to work with Sustainable Roofing Solutions. They did a great job repairing and re-vitalizing my wood shake roof. I prefer the look of shake to composite. Rather than spend three times as much on a new roof Sustainable made my existing roof as good as new. I've had people stop by and ask me who put on my new roof. It has been eight years now, the roof looked great for the first five years; it still looks tidy. I've never had had a single problem. I have seen other roof restorations in my neighborhood, none of them have stood the test of time like my roof. In addition to the roofing, Sustainable repaired existing dry rot and replaced some siding. All of the work was quality. Kasra, the owner, even comes by my house now and then and checks on the roof. My complete exterior restoration and paint project is due soon, Sustainable Roofing Solutions will be my contractor. I hired Sustainable Roofing Solutions to fix my leaking roof last month and I was so impressed by their professionalism. Kasrah and his crew showed up on time and are very detailed in diagnosing the possible problems associated with the leaking roof. The roof starts to leak after a week of heavy rain, they came back did some minor repair and adjustments at no cost. Highly recommended.